Of the respondents, 69 per cent, including 60 per cent of Leave voters, responded that they should. 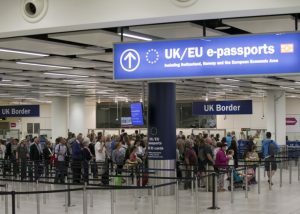 The poll has been overlooked by the bulk of the press, for whom it contradicts a very basic assumption – that the end of free movement, and the implicit acceptance of the narrative that high net migration had strained services and wages, was an electoral necessity for any party wanting to enter government. In fact, the apparent consensus against free movement after Brexit owes much less to deeply-rooted public opinion, and much more to the abject failure of progressives and mainstream Remain campaigners to make the case for it. “If you’re explaining, you’re losing,” goes the old maxim of political communications. And this is accurate if you inhabit a world of tight, professional politics and your job is to capture votes using already widely understood concepts and a set of soundbites. So much of conventional political strategy consists of avoiding difficult or complex subjects, like free movement. This is especially the case if the exact meaning of the words requires defining. The job of radical politics is to change the terms of the debate entirely. That almost always means explaining things. The strategy of Britain Stronger in Europe during the EU referendum campaign was a case in point. It honed down on its key message on economic stability, and refused to engage with the migration debate. As a result, the terms of the debate were set by the right. The argument during the referendum was never about free movement, but about immigration in general. If YouGov’s polling this week is correct, a majority of the British public support free movement – you just have to explain to them what it means. That distinction between immigration and free movement was pivotal in the referendum. Immigration is a big, amorphous concept, and an influx of people, covering far more than Britain’s relationship with Europe. It makes an excellent scapegoat for the government’s failure to provide housing and public services. It has been so expertly blamed for bringing down wages that this has become received wisdom, despite almost nowhere being true. Free movement, on the other hand, can be understood more easily in terms of rights and security – not just for migrants in the UK, but for British citizens and workers. As YouGov’s poll question explains, free movement would be a reciprocal agreement between post-Brexit Britain and the EU, enhancing UK citizens’ rights. We would get the right to live and work freely over an entire continent. Even if you might not want to exercise the right yourself, studying abroad might be something you want to preserve for your children. Even if you might not retire to France or Spain, you might well know someone who has, or wants to. Perhaps most importantly, free movement makes British workers more secure. Migrants will come to the UK regardless of whether or not free movement agreements are in place; without the automatic right to work, many will be forced to work illegally and will become hyper-exploited. Removing migrants’ access to public funds and benefits – a policy which was in the Labour manifesto – would have a similar effect, forcing migrants to take any work they could find. At present, Labour is in danger of falling into a similar trap to that of the main Remain campaigns in the EU referendum. Its manifesto policy was for an “economy first Brexit”, in other words, compromising on free movement but implying that it might be retained in order to get access to the single market. This fudge undeniably worked. In the longer term, though, basing your case for free movement entirely on what is good for the economy is exactly the mistake made by previous governments. Labour could grasp the nettle: argue from the left for free movement and for a raft of reforms that raise wages, build homes and make collective bargaining and trade unions stronger. Making the case for free movement sounds like a more radical task than making the case for immigration more generally – and it is. But it is also more achievable, because continued free movement is a clear, viable policy that draws the debate away from controlling net migration and towards transforming the economy so that everyone prospers. Just as with the left’s prospects of electoral success in general, bold ideas will fare better than centrist fudges that give succour to the right’s narratives.